MegaDeals.ph is the newest and biggest group buying portal in the Philippines where you can have access to up to 90% OFF on your favourite restaurants, spas, activities, gadgets, hotels and many more when you register! Deals are available in limited stocks and last for only three to seven days. If you want it, buy it before time or items run out. Megadeals.ph features 97% Discount at KFC on its debut. MegaDeals.ph launches together with KFC’s so good Discount Pass for 90 days, only P100 for P3,000 worth of KFC favorites. On its debut on May 25, 2011, MegaDeals also unveils its premiere deal with the Philippines’ all time favorite fast-food barkada, KFC. Dedicated to all KFC lovers out there, this exclusive “KFC’s So Good” Deal is just so good and so irresistible. For only P100, you get a discount pass worth P3,000. It entitles the holder to a daily discount between 5 PM and 10 PM on the featured KFC “so good item of the day.” KFC fanatics get as much as P100 OFF on their favorite items like the Bucket Meal, Twister, Pasta Bowl and Krushers. Best of all, the Discount Pass is good for 90 days! 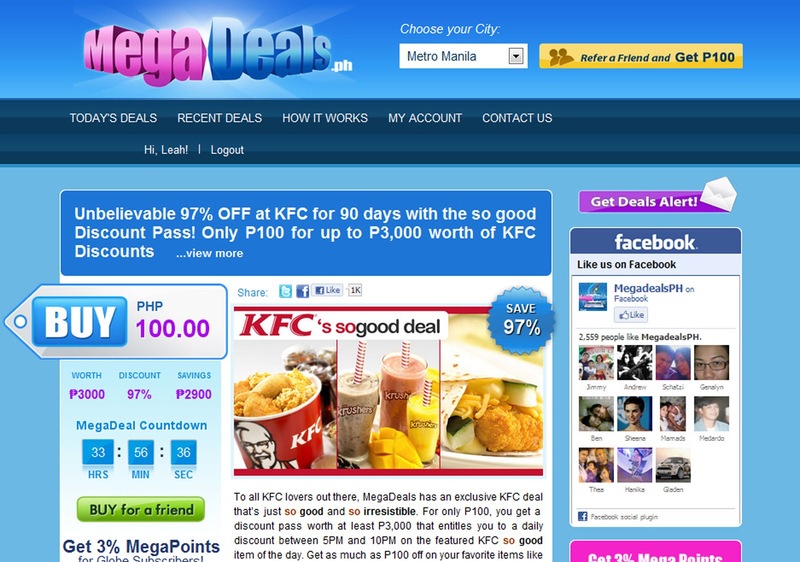 It’s KFC’s biggest and most ambitious discount ever, and it’s available exclusively at MegaDeals.ph. Here's a good news for Globe subscribers: Get 3% MegaPoints for every complete transactions. This is an exclusive privilege to Globe Subscribers only. 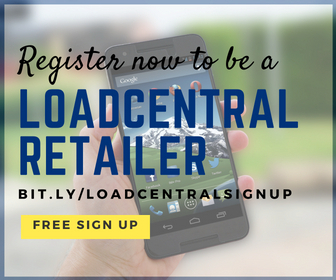 Enter email address that you created when you signed up. Get daily deal alerts via email or SMS. Click to view deal details. Buy quickly before deal runs out. Get your MegaDeals voucher in your email. Print it or show voucher from your mobile phone to merchant. Enjoy!